It’s been a challenging year at KHEL. We couldn’t save the life of one of our students, the monsoons were financially and emotionally devastating, our volunteers were threatened by an online stalker (who lived a little too close to ignore) and one volunteer/family member suffered a traumatic brain injury. 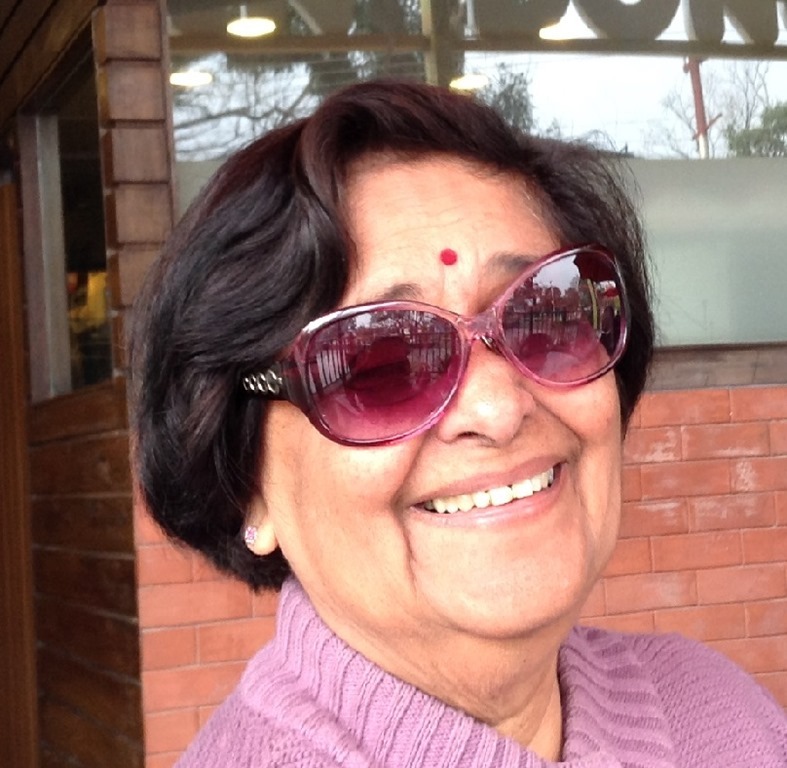 Swami Veda, our spiritual preceptor, ardent KHEL supporter and former family member to some of us was extremely ill. Mrs. Lalita Arya (fondly known as Ammaji) co-founded KHEL with Swami Veda when he was Dr. Arya; she spent a great deal of time away from KHEL this year, caring for him. Challenges can be a blessing in disguise; we learned that we have faith in each other and that our team of volunteers and employees which runs KHEL is incredibly strong. We communicate and collaborate across great geographical and cultural distances and in the end this is what makes us resilient so we can continue serving the community in the face of often daunting circumstances. Whether the challenges we face are of a professional or personal nature and whether we are volunteers or employees, the kids still turn up to school expecting us to do our job of teaching them and keeping them well; that’s what we’ve done for the past 30 years and will continue to do in the future. The cost of doing business – and of doing good – continues to rise as India shifts from a third world country to a developing nation. KHEL must remain in good standing with the government; we use chartered accountants for our yearly audited reports and by maintain several types of government registrations. 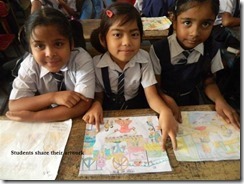 Lakshmi Devi Academy (LDA), KHEL’s school for underserved children in Dehradun, India, is our largest cost center; faculty and staff need and deserve yearly cost of living increases and KHEL provides for a government mandated retirement fund. LDA must be properly cared for so that the kids have a safe environment in which to learn. Other expenses include medical and nutritional aid, aid to leprosy colonies, activities for the children, disaster aid and saving for KHEL’s future. In 2013 running KHEL cost INR39 lakhs 34,000 (US$64,000.) We raised INR35 lakhs 52,000 (US$58,000). In addition, we saved INR1 lakh 7,200 (US$1,760) for future use. The difference in cost and funds raised was covered by funds saved in previous years. Our donors are worldwide; amounts are approximate due to fluctuating exchange rates. Data Collection: On average, our 8th graders are living on INR53.36 per day – US¢87, which is below the international standard for extreme poverty of US$1/day. LDA was originally situated in a slum; three decades later, Shiv Puri Colony is home to many people, some still very poor, others less so. Because of changing demographics, data collection has become an important aspect of our work. Without information on the families we serve, we can’t keep track of who gets what kind of aid or budget for the future. KHEL’s Management Team – Stomya, Beni, Manju, Manohar and Bhagwat – developed a series of data points to track family and student status in a variety of areas including income, health, living situation and number of people sharing a home. 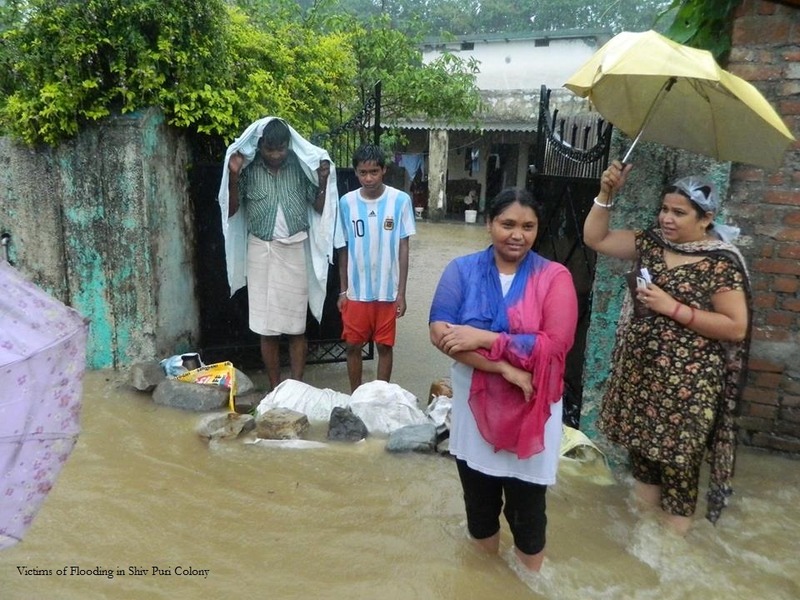 Collecting data is a slow process for Manohar, our Community Outreach Coordinator; the monsoons made it impossible to connect with families for many months. One of the more surprising things we learned while collecting data is that the families are scared to share information with us, in case we decide they’re earning ‘too much’ money to qualify for aid. Some families may be under reporting their income out of this fear, and others may be over reporting their income out of embarrassment but it’s unlikely that any of our families are earning ‘too much’ to qualify for aid. Uttarakhand Disaster: The monsoon rains in June were disastrous for thousands of people living in the mountains, but even in Dehradun much damage was done. Shiv Puri Colony is situated along the banks of the Rispana River. Heavy monsoon rains lead to the river breaking its banks, flooding the Colony twice. LDA was deluged with two feet of muddy water; when the water receded, the mud stayed. KHEL’s staff got together, hired some extra help and cleaned so the kids could come back to school safely. Several staff members’ homes were flooded; one staff member, Munni Devi, lost all her possessions and Mukesh, our Art Teacher, lost his family home and business in the mountains. Children were traumatised but came back to school anyway; we tried to give them time and space to talk about what they’d been through and helped them to express their fears and concerns through art. LDA’s electricals were damaged by rain and cement outside the school gate was ripped away by rushing water. Plaster fell off the building and the roof is leaking. The repairs will cost INR7 lakhs (US$11,000), which is the majority of KHEL’s savings. Kamli Bhatt, a City Counselor, former KHEL staff member and wife of KHEL’s General Manager, Beni, was instrumental in helping many people in the community receive government compensation for their losses and suffering. Medical Aid and other Projects: Our fledgling Medical Aid Program was a victim of this disaster, too. The rains went on for so long that we were unable to connect with the people who needed help. Now, the funds are needed for major repairs so for the time being we’ve shelved this project (more on this in the Health section of this report). We also put on hold a security upgrade for LDA, which means that upgrading our computers has to wait, too; LDA was broken into a few times this year and we won’t risk losing new or upgraded equipment. Condolences: Rekha was a student at LDA since preschool and was in 8th grade when chronic malnutrition, poor living conditions and a series of illnesses caught up with her and finally lead to her death; in the end, there was just too much wrong with her and she chose to stop dialysis rather than continue living in pain. 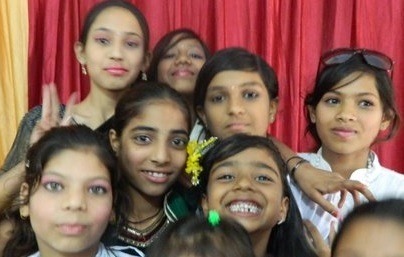 Her siblings are still at LDA and we continue to help them; Rekha will be missed by all who knew her. 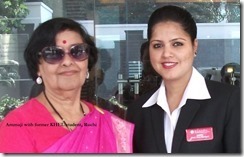 Mrs. Dayal Kaur Ahluwalia, the mother of our devoted KHEL Board Member, Mr. GS Ahluwalia, passed away. She was a strong willed, well educated woman who was Vice-Principal of the Guru Nanak Girls’ School in Dehradun. Our two cleaning ladies at LDA, Rajeshwari and Munni Devi, both lost their mothers. One of LDA’s senior teachers, Sunita Rana, lost her 32 year old nephew to Cancer. Please join us in offering our sympathies to those who lost their loved ones. Staff Changes: LDA’s reputation as an incubator for freshly minted teachers is well known; combined with our inability to pay large salaries, we often have teachers who sign on for several months while looking for better paying work. Teachers are, of course, free to leave anytime they like but we’re clear with them that they can’t expect a glowing recommendation if they don’t stay for a full school year. We’ve always maintained that hiring from within the local community is as important as educating underserved children; many of our senior teachers and other staff have been serving the community since Ammaji was handing out milk under a tree. Manohar Chauhan is one of those people, and he received a well deserved promotion to Community Outreach Coordinator. He is responsible for collecting and reporting on all our data, for keeping us up to date on kids and families who need help, and for managing the day to day finances at LDA. RTE: The Right of Children to Free & Compulsory Education Act is an effort by the Indian government to get rid of corporal punishment and bribery in schools. KHEL has never allowed either of these so the only thing new about this is the additional paperwork which LDA’s Headmistress, Manju, and Beni are handling. FCRA: The Foreign Contribution Regulation Act governs donations sent to KHEL from outside of India. Recent policy changes regarding oversight of foreign funds mean we must now re-register every 5 years and submit our audited accounts for review every year. This isn’t a problem for KHEL since we already use a chartered accountant for our yearly tax reports. OpCamp: Judy-Ann from MN commits a portion of her summer break to take student volunteers to OpCamp, a summer camp for underprivileged children in Mineral Wells, TX; KHEL provides some funding for the volunteers. The kids at OpCamp wanted to do something special for the school district of West, TX, where there was massive explosion at a fertilizer plant. The towns of West and Mineral Wells are almost neighbors and the explosion affected many families in the area. With the help of the volunteers the OpCamp kids made a mural for their friends in West. The kids who come to OpCamp are, by American standards, very disadvantaged; for them to have the opportunity to do something for someone else is a way for them to ‘pay it forward’. 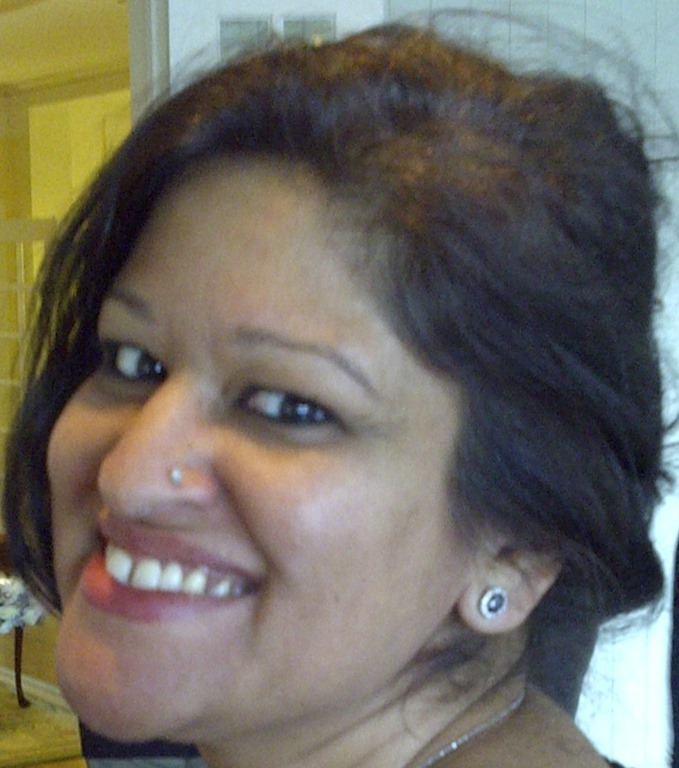 Headwaters/Delta Interfaith: It was a difficult year for Saumya Arya Haas, who has been a KHEL volunteer most of her life; she normally is very active in non-profit and interfaith work. Due to a traumatic brain injury, Saumya has taken a hiatus from all her work and studies. We wish her the very best for a complete recovery. Get well soon, Saumy! We miss your compassion and sense of humour. Medical Aid Program: KHEL is primarily an educational nonprofit, but we also provide medical aid needed to keep children in school. While reviewing the tragedy of Rekha’s death, we realised that a comprehensive view of the health of our kids and their families might help prevent another death or serious illness. We asked families what their health issues were. Then, the Management Team worked together to decide how to distribute the limited funds we had set aside for medical aid; this was more challenging than it sounds, and it’s a testament to Manohar’s caring nature that he had a hard time saying no. We provided medical aid to 8 children and 5 adults in the KHEL community, including funds for Rekha, Salman, Epilepsy medications for Puja who lives at a leprosy colony, a CT scan for one student and asthma medication for a sick parent so the family wouldn’t have to pull their child out of school and send them to work. Health Camps: Many years ago, we helped our accountant, Sanjay, with his brother’s kidney transplant. Sanjay’s brother lived much longer than expected but eventually his illness took his life. 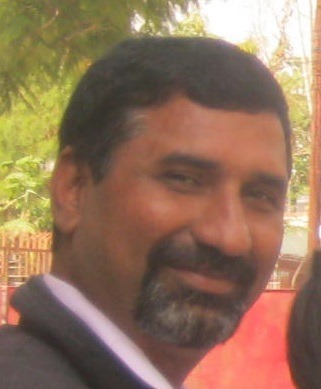 In his memory, Sanjay started a medical nonprofit, Sankalp Foundation, which conducted a thorough evaluation of our kids. One child was diagnosed with TB; TB spreads very quickly and must be treated immediately. Sankalp’s report indicates that we need to educate parents on basic health and hygiene; at the moment it falls to LDA’s teachers to help their students with basic health needs. 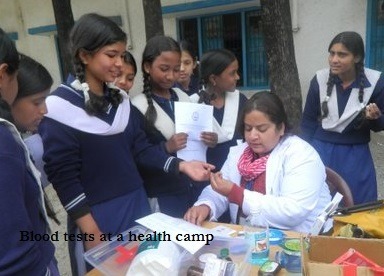 Sankalp also suggested that we provide a healthy snack to the kids daily. The cost for this per year is INR21 lakhs (US$34,470), for which we don’t have the funds. 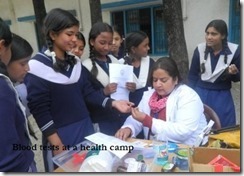 We continue to have monthly government health camps for vaccines and simple health checkups for the community. Salman: About a decade ago, one of our young students needed an angioplasty which we were able to provide. Salman did well for most of 2013. Every month he goes to the Himalayan Institute Hospital Trust (HIHT), to have his blood tested. He continues to take medications and every 4-5 months goes to Delhi to see his cardiologist. He was recently diagnosed with kidney stones and was given additional medications. His doctors are waiting to see how he responds to the new medications before making any decisions about surgery. 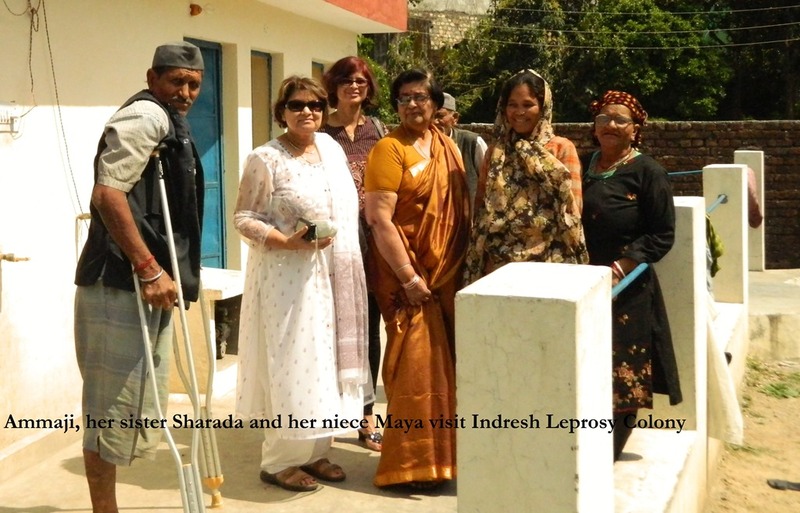 Leprosy Colonies: KHEL supports two leprosy colonies, Ram Mandir and Indresh. Over the years we have seen a decrease in residents at these colonies which is a good sign. But, the residents still need our support. We supply dry food rations every other month, alternating with medical aid. Indresh asked us to help with repairing their toilets which had fallen apart. We weren’t able to provide all the funds, but we helped them with replacing toilets. Caring Soul Foundation: Ms. Arati from the Caring Soul Foundation presented an awareness seminar on AIDS and Cancer to our older students. Included in this seminar were ways to protect against AIDS. This is a sensitive topic in India; many young people don’t have basic health and sexual education, and as a school with younger students we must be careful to respect the community’s social norms while still imparting an understanding of difficult subjects. 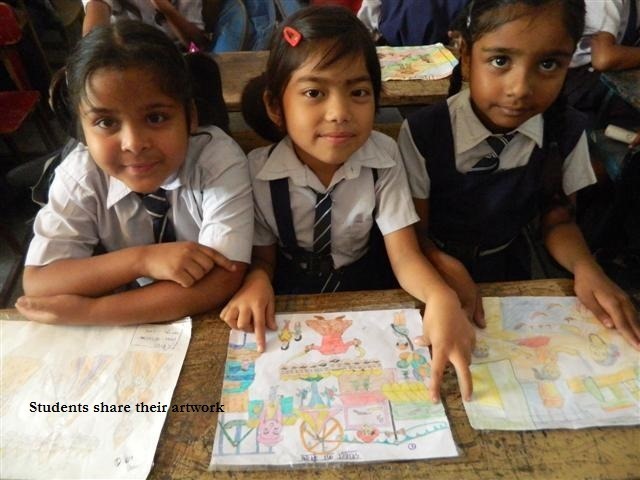 Azizi Premji Foundation Library & Workshop: The Azizi Premji FLW works in the field of children’s development. LDA students were invited for a 2 hour workshop at their Library. The 7th graders learned about drama, painting, dance and other activities as Mr. Mohan Pathak, the Librarian, walked them around the extensive library. After the tour, the kids were given a snack. Teachers’ Training: Every year, LDA hosts trainee B.Ed teachers from Raphael for three days of evaluation. Raphael specialises in training teachers who deal with mentally challenged children. As always, the trainee teachers appreciated the hard work and evaluating techniques of LDA’s teachers. We wish them all good luck embarking on their teaching careers. 8th class graduation: All 18 students finished 8th grade this year. They all had good grades and have gone on to high school. Congratulations to everyone on a job well done! 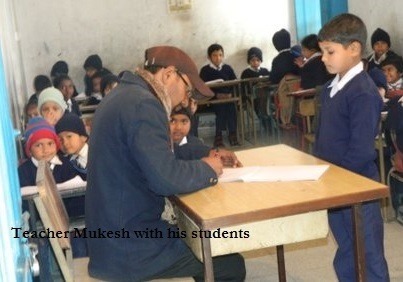 Teachers: Congratulations to Mukesh, LDA’s Art and Music teacher, on his recent engagement! To celebrate the end of another successful school year, faculty and staff spent an afternoon at Sahasradhara, a popular swimming beach near Dehradun. Beni, KHEL’s General Manager, hosted this event to honour his wife, Kamli, who is a former KHEL employee. Please join us in congratulating Kamli on her reelection to the post of City Councilor. She will serve for another 5 years. Kamli ran against 7 other candidates, all male. Visitors: Angiras, Ammaji’s son, and his family visited KHEL. Angiras and his wife, Kani, talked to LDA’s kids about the value of education. Their older daughter, Ameya, age 6, gave a Tae Kwan Do demonstration and her 3 year old sister, Aavani, recited a poem in Hindi. There was much applause when Ameya remarked that girls would not have fear if they learned how to protect themselves. Ammaji and her family later distributed biscuits to all the kids. 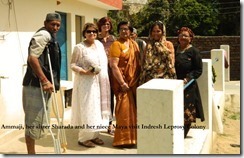 Two of Ammaji’s sisters, Sharada and Shanta, one of her brothers, Satyanand, and her niece, Maya, also visited. Other visitors included John and Amy G., Jacob M. and Aditya K. and his group from Canada; we didn’t have many visitors because of the heavy monsoons. The Senior Superintendent of Police celebrated his wife’s birthday by distributing sweets to school children at his home. LDA students were invited to receive gifts and sweets on this happy occasion, and they had a great time! LDA Former Students: Two of LDA’s former students got married. Sarita is a nurse; she and her husband, Nirmal, live close to the community Sarita is from. Neena continued to be an active member of the LDA community even after she graduated and has helped arrange many celebrations over the years. She and her husband, Jitendra, live in a village not too far from Dehradun. He’s working on his Master’s in Philosophy and is a teacher. It’s gratifying that these two young women have found husbands close to home; about a decade ago, there weren’t enough educated young men in the area and the young women who wanted to get married would have to move away from their families. 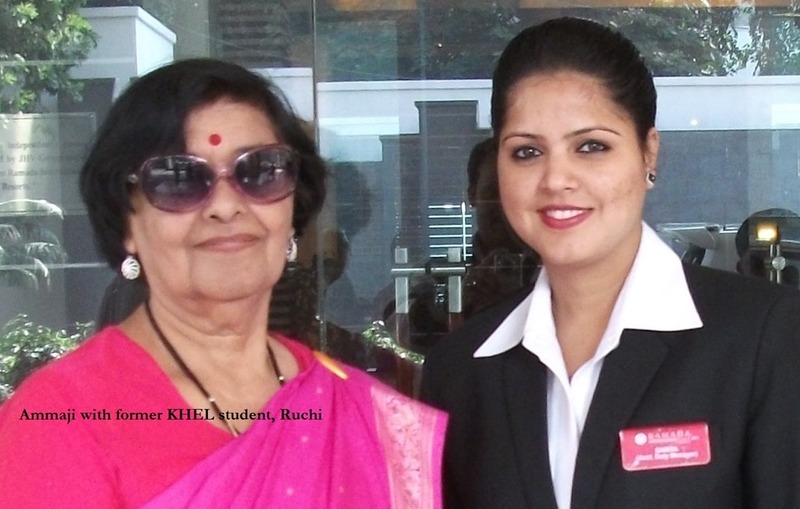 Ruchi is working in a management position at a 5 star hotel in Varanasi. As a child, she listened to the guests who came to LDA and told herself that someday she’d be able to speak English, which is one of the prerequisites for getting a good job in many parts of India. Charming, personable and now fluent in English, Ruchi is a busy young woman! Holidays: Celebrating diverse holidays is a way for the kids not only to have fun together but for the members of the diverse community around LDA to share in each other’s traditions. There were celebrations for Holi, Rakhi, Eid, Diwali, Nehru’s birthday (Children’s Day), Teachers’ Day, Gandhi’s birthday and India’s Independence Day. 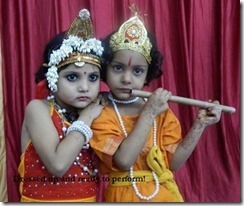 The kids also enjoyed the activities of Sports Day, and Awards Day was combined with Ammaji’s birthday. Just before winter break, Alim Beg, a local friend of KHEL, dressed up as Santa Claus to entertain the children. 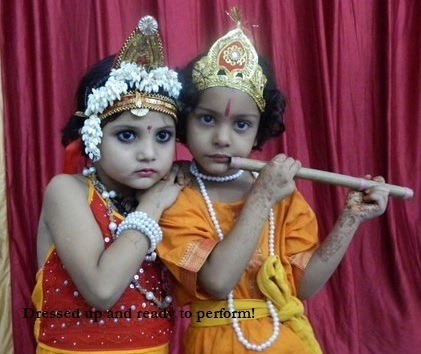 SRSG: LDA kids performed a wonderful program at Swami Rama Sadhaka Grama (SRSG), Swami Veda’s ashram in Rishikesh, accompanied by several of the teachers. Donors, volunteers, their family members who support them and KHEL’s staff all play a part in keeping KHEL running. Even the kids who continue to turn up with smiling faces despite the hardships they endure on a daily basis deserve praise and thanks for their efforts. Thank you to Life Insurance Corporation of India (LIC) for donating sweaters to LDA’s kids, to Swami Veda for donating pens to Kamli and Beni and to our Art Teacher, Mukesh, for his thank you donation to KHEL for hosting his art show at LDA. We thank those in the Shiv Puri community who support our efforts at LDA – Mr. Sajwan, Mr. Rabbani, Kamli Bhatt, Mr. Ansari, Mr. Rawat and the leaders of various religious groups who work together to keep the neighborhood free of conflict so our kids can stay in school; in a country that is prone to interfaith violence, this isn’t an easy task. Many thanks to our generous donors – Prabhjot, Pooja, Sadhana, Randall, Kamal, Varada, Mohini, Apoorva, Katy, Amy, Sudhanshu, Suman and Avinash, Mr. Kamat, Mr. Gopal, the Florence Italy Yoga Center, and many others who make sure we have the funds to keep the kids in school. A very special thanks to those who donated for Rekha’s medical aid – you made her last days comfortable. KHEL’s staff and volunteers thank Ammaji for inspiring us. To Swami Veda, thank you for your continued loving support and guidance of KHEL.